North Texas Regional Center for State Farm is in Richardson, TX. Living close to work is a luxury in today’s traffic congested cities. Find your home easily with this 2 mile radius search nearby State Farm. Gorgeous three bedroom in the heart of Richardson’s most desirable area! Vaulted ceilings, spacious bedrooms, open layout and a sizeable backyard give this home something for everyone! Just a few minutes from major freeways, and less than a mile to all level schools, this location can’t be beat! Here is your chance to own a home in Canyon Creek right next door to Telecom Corridor! This thriving community offers robust employment opportunities and rapid area transit making your commute easier. This owner has lovingly cared for this home for 24 years. Recently remodeled Pool resurfaced with quartz plaster, color changing led lighting; pool deck resurfaced; roof replaced, most sheet rock completely replaced, texture and paint AC system replaced – ducting and vents were completely replaced, fence recently replaced; New windows with lifetime warranty; new quartz counter tops, new KitchenAid cook top and dishwasher, . New sprinkler controller. This home is for folks who play as hard as they work! COZY ONE STORY IN RICHARDSON! 4 Bedroom, 2 Bathroom, 1 Car Garage, Large mature trees, covered front porch and Wood deck over looking large backyard. 4th bedroom could be used as office or second living area. Recent updates include: HVAC system, Refinished wood floors, Paint, Carpet and Vinyl, updated bathrooms. Enjoy the luxury lifestyle and low maintenance of gated community II Creeks, within Canyon Creek. Feels worlds away with European charm, yet just outside the gates are fun shops and restaurants. Follow a serene, private walkway to the side entrance of the home. The floor plan is open with the master down. The gourmet kitchen features a stainless steel six-burner range oven, massive granite island with ample seating, plus room for a large dining table. The kitchen flows into the living area, of which the focus is a beautiful stone fireplace. Custom finishes and gorgeous wood floors complete this welcoming home. This is a very desirable area so don’t miss your chance to be a part of it! Investment Prefer!Gorgeous & Charming Updated One Story Home ! Over $60K Renovated 3 BR 2 BA in Highly Sought-after Richardson ISD. Great location, close to UT-Dallas, Dart Rrail, 75 and the Bush Toll Road. Beautiful New Flooring throughout. New Cali Vinyl Flooring, New Carpet, New C-Tiles in wet area. Interior and Exterior Custom Paint, New Brushed Nickel Lighting Fixtures, Interior Doors, Hardware, Stainless Steel Appliances, Ceiling Fans, and Cabinets. Both Bathrooms Updated with Quartz Counter Tops and frame-less custom glass showers in Master Bathroom. New Tiles Surrounded. Large Backyard with Extended Driveway. Lease end by Feb. 29,2020. 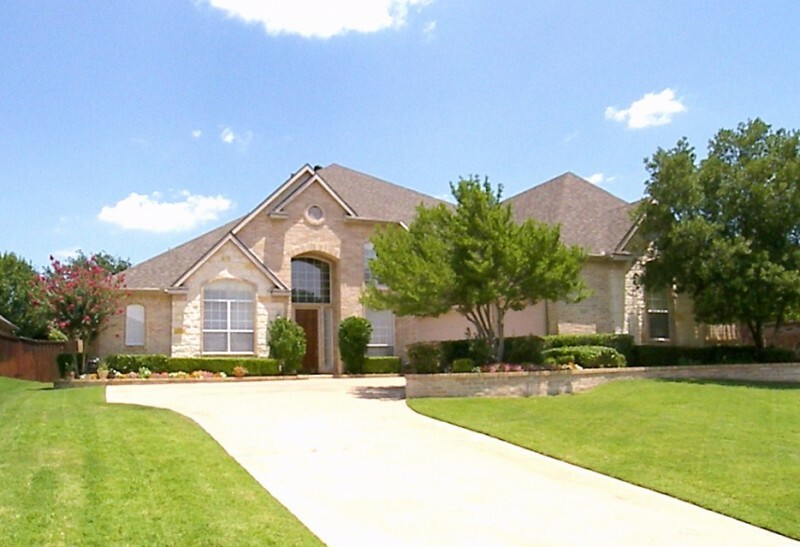 BEAUTIFUL drive up on this CHARMING, SINGLE story Custom home in Central Richardson! Close to restaurants, shopping, parks! Light & bright this home offers Dining RM with easy access to kitchen. HUGE Living RM, great for entertaining with brick WBFP, recessed lighting, rich paneling, lots of windows. Den has privacy doors, beamed ceilings, desk or wet bar with water line, near half bath. Kitchen and BKFST have ceramic tile, lots of cabinets for storage, windows viewing patio. Private Master with sitting area. MST bath has separate vanities, garden tub, separate shower. Two additional bedrooms share bath with two sinks. Large patio opens to wonderful large yard. Over sized garage, extra parking for cars, boat! Richardson in sought after Plano ISD!Sprawling 4 bedroom 2 living 1 story ranch home on a quiet cul-de-sac. Numerous updates include granite counters,wood-like porcelain tile floors, Thermador appliances, newer kitchen cabinets & fixtures.The living area with wet bar & kitchen boast beamed & vaulted ceilings.Master bedroom has vaulted ceiling & sitting area with access to backyard with nice sized bath with granite,garden tub and oversized frameless shower.Exterior has outdoor lighting,security cameras & huge backyard with covered patio and steel post fence.Newer roof,2 water heaters,epoxy finish in garage.Great neighborhood near parks,playgrounds,shops,dining,75 & George Bush highway &golf course!Move in ready! Rare opportunity to own a home in Canyon Creek. Families live here for generations which is why there is very little inventory in this coveted area or Richardson. This home has been meticulously updated. The kitchen is completely open to the living area, dining are and has a nice breakfast nook. Two large living areas and a fire place makes it perfect family gatherings and entertaining. New quartz counters and cabinets with slow close drawers. Downstairs Master has large custom shower. 3 bedrooms up plus a very large loft that could be an office or media room. New landscaping and grass with privacy fence. 2 car garage and extra large covered parking in rear. New Matte Black Windows will be installed. Beautiful Canyon Creek home is absolutely perfect for entertaining. Chef’s dream kitchen has all the bells & whistles from cabinets with pullouts, farm sink, 4 door SS frig, 5 burner gas cooktop, double ovens, 5 ft designer chandelier over massive 14 ft quartz top island. Oversized living rm with gaslog fireplace, builtins, wetbar, vaulted beamed ceiling & updated lighting. Wood look tile floors in living areas & bdrm. Updated master bath with jetted tub,separate 3 head shower. Elfa custom walkin closets. Huge screened patio room is entertainers delight with vaulted wood ceiling, mounted TV. Circle drive with extra parking. 8 Exterior security cameras.BBQ stand. 8ft BoB fence with gate to walking,biking trail. Stunning home on large corner lot in coveted Canyon Creek neighborhood! Recently renovated, this home is framed with soaring ceilings, vast windows, gleaming hardwoods and first-class finishes galore! Inviting living area opens to an impressive kitchen adorned with 2-inch granite, stainless appliances, modern cabinets, and a spacious breakfast bar. Secluded master suite showcases spa-style shower, dual sinks, an oversized walk-in closet, and secondary closet fit to accommodate a present-day lifestyle. Private backyard retreat enveloped with contemporary board-on-board horizontal fence, complete with Liftmaster automatic gate. Enjoy walking to trails, parks, schools, shops, and more. Welcome home! Excellent opportunity to get into the exclusive Canyon Creek in Richardson! One story home and oversized lot in a perfectly convenient location! Excellent layout with 4 bedrooms 2.5 bathrooms, plus a sunroom. Kitchen features granite countertops. Fresh neutral paint ready for you. Home is located in the desirable Canyon Creek subdivision. Top rated Prairie Creek Elementary. 3 bedroom 2 bathrooms 2 living rooms 2 car garage. Home was renovated in 2019. New paint, doors-jams, roof, modern water-proof durable sleek vinyl plank flooring, modern 3D new backsplash. All cabinets, drawers and build-ins refinished, painted. Travertine bathroom floors and shower area. Bathrooms-Kitchen granite countertops. Stainless Steel-Glass drop-down stove vent. Almost new R-410A HVAC system and water heater. The area is quite, clean and kids still ride bikes safely outside. This stunning remodeled MID CENTURY MODERN has VIEWS of the heated pool and waterfall from all the MAIN areas of the home. Location and paradise all in one. Unique architectural details accent open living. Renovated kitchen w- new cabinets & an oversized eat in Island. Stainless appliances, hand scraped hardwoods, subway tiled backsplash. Floor to ceiling windows & horizontal sky lights for amazing natural light.Tankless WH. Bar perfect for entertaining. Plumbing replaced in 2018. Min from State Farm & George Bush-75. Two side yards. An entertainers dream! Near Canyon Creek Golf course. NO MUD OR PID in this neighborhood! Built by Stonehollow Homes. This home offers Real hand scraped hardwood floors in the entry, kitchen and cafe. Standard features for this home are granite in the kit and bathrooms, travertine or marble backsplash, 42in maple cabinets, oil rubbed bronze fixtures, 5.25in baseboards, rocker switches, framed mirror in master bath, finished garage, opener, insulated garage door, full sod, full sprinkler, and gutters This property does not have a home behind it, beautiful home site. Come see it today. LIMITED SERVICE LISTING: Buyer to verify dimensions & ISD info. Use Builder contract only. Prime Location, City Line, Richardson! Minutes to Dart Station, Shops, Restaurants, Entertainment Center n Spring Creek Preserve; Situated SE corner of Hwy75 n 190 (GBTP). A convenient intersection provides The Best of both worlds-Close to City Line coupled with quite neighborhood. This Peaceful 4 bed 3 bath, huge living, oversize formal dinning w beautiful panels n classy Wood Floor make this home a very special place. Recent roof, gutters, alarm system, garage opener, bay window and wet bar make it feel right at home. The bedrooms provide plenty of dwellings n the large living, formal dinning are perfect for entertaining families n friends. Don’t wait too long before it is gone! Make arrangement to view soon! Welcome to this 3 Bedroom, 2 bath home in Richardson Good floor plane. Beautiful neighborhood , convenientyly located in a great Richardson location ( Minutes to major employers , freeway and tollway . Large sought after corner lot with huge back yard! Open floor plan with granite in the kitchen, gas stove and stainless appliances. Downstairs living area has a rock woodburning fireplace that is open to the dining area and kitchen. Also downstairs is a study or office, half bathroom and utility area. Upstairs is the large Master bedroom and bath with four windows that make it light and cheery. Also upstairs is two other bedrooms and bathroom. The two car garage has a small shop area and even its own HVAC. There is also an outside storage building or shop in the back yard that is multifunctional. Holford Park Recreation center and pool are just down the street making this home a perfect buy! Listed with Ashley Gomez, Allie Beth Allman & Assoc. MOVE IN READY SINGLE STORY Luxury Flats located in the heart of Richardson.This amazing community is located on beautiful Duck Creek with miles of walking trails.This gated community features interior corridors,gated private garage & access to your home via elevator.Private balconies for each home.Open floor plans feature gorgeous master suites & 2 additional bedrooms.Stunning kitchen features Gas SS apps, quartz ctops,custom cabinetry.Luxury living with many upgraded standard features including but not limited to a smart home package!A must see community in an amazing location.Two miles to new CityLine development and from the DART rail station at Arapaho.Don’t miss out on our pre-sell pricing! NO STAIRS! Very well maintained home in much sought after Sherrill Park golf course community. Large treed private cul-de-sac lot. Nice open kitchen with granite countertops, double ovens, induction cook top, and built-in wine cooler. 2 large living areas, beam ceilings, 2 fireplaces, updated fixtures. recessed lighting, wet bar, and plenty of built-ins. Large backyard has covered patio with 3 ceiling fans, storage building and gas hookup for grill. Upgraded outdoor lighting. Recent updates also include gutters, paint, windows, roof, attic insulation, granite in bathrooms & wet bar, HVAC, LED lighting. Just minutes to City Line, Shopping, and Restaurants. Don’t miss this one! Great drive up appeal on spacious corner lot! This stunning home offers 4 bdrms, 3 living areas, combo living and dinning room, Large family room with cozy fireplace. The garage conversion is perfect gameroom for those that like to entertain. Second room off gameroom would be great a great room for additional storage. There is covered parking with a 2 car carport. Updates include flooring, stainless appliances, paint, granite, baths, fence. Backyard features 2 patios one off family room in back and one off master on side. Convenient location in beautiful neighborhood will have you wanting to call this beauty home! Prairie Creek home on cul-de-sac. Featured on Richardson home tours. Brick, wood, and stone flooring. Island kitchen open concept, walk-in pantry, incredible granite counter space, and under-cabinet lighting. Ample storage. Kitchen overlooks living and bright sunroom. Dining room seats up to 16. Four bedrooms and two baths up. Master bathroom remodel with marble and spa shower. Master custom closet has an abundant amount of storage. Great living space with custom built-ins. Guest quarters is above the oversized two car garage. Circular drive and additional side parking for guests. Backyard is huge! Move-in ready! EXCLUSIVE CANYON CREEK! HIGHLY ACCLAIMED PLANO ISD! THIRD ACRE HOME SITE! 1-OWNER 40+ YRS! Spacious home nestled in the winding streets of Canyon Creek under the canopies of two great trees. Exceptional maintenance and up keep. Family room surrounded by windows for maximum natural light. COVERED PATIO 8×35! Electrical updates-GFCI installed in kitchen, baths, garage, exterior-2019. New smoke detectors, carbon monoxide detectors-2019. Fresh paint-family room, kitchen, secondary beds-11-2018. New blinds-2019. New carpet w. carpet pad-2019. AC serviced-2019. NO 1970 windows; replaced 10 years ago. Foundation repair right front corner w. transferable warranty -May 2019. Easy access to 75, 190 Tollway. Spacious and open floor plan home with 4 bedrooms, 3 bath, and 2 living and dining areas. Wood beams catch your eye upon entrance to the large living room complete with a wet bar, fireplace, and built in cabinets. Dining room has vaulted ceilings and white wainscoting with large windows letting in lots of natural light. The kitchen has loads of white cabinets, double oven, and breakfast nook. Bonus family room with built in shelving and tiled sunroom provide multiple possibilities for office or playroom. Roomy master has arched window that leads to master bath with double vanities and 2 walk-in closets. Jack and Jill bath located off 2 of the additional bedrooms. Backyard has pergola with open grassy area. Amazing remodeling! Like a brand new home just built in Central of Richardson! so many things have replaced New: Roof, E-low windows, fresh paint exterior & interior, completely done all in kitchen, cabinets, granite C-top, range, vent out range hood, dish washer, disposal, Nice tiles backsplash, plugs, drop down bar lights, both bathrm granite vanities & cabinets, toilets, modern standing shower with rolling glass door, tub, lights, mirror, extended height stairs hand rails, Ceiling fans in all bedrooms and 1st Living rm, gorgeous LED light at DN, Electrical panel. Foundation 18 piers installed, exterior AC units replaced, cover patio. You will fall in love with this contemporary modern up-to-date remodeling. Low maintenance, 1-story home on GOLF COURSE! Positioned ideally on #8 fairway, home has nearly no chance of ball activity. Owners remodeled & opened up kit-living-dining. Vaulted ceilings & wall of windows beckon to exterior, where you find 1250sf deck w several seating areas surrounding a towering tree keeping property shaded during afternoon sun & protected from hail. Master enlarged & huge, walk-in closet added. Dual living areas. Oversized garage. Other updates incl granite counters, custom cabinets, SS appls, low-E windows, CO-ARL outlets, copper wiring, molding, paint, attic access, HVAC, garage door opener, CFs, tankless WH, full lawn SS, shingles, flooring. Meticulously maintained. Walk to CCCC & Elem. Charming 4BD-2.5BA-2CAR Home in desirable Richardson ISD. Conveniently located minutes from I-75+635 w with convenient access to Shopping+Dining. Impeccable updates including FRESH PAINT, Energy efficient windows, Beautiful Kitchen with Gas Range, built-in Microwave + Upgraded backsplash, Granite countertops, Fabulous Built-In’s through-out, Brick FP, Stacked Formals, Spacious Secondary bedrooms, Huge Master, Updated Wood Fence + Lush Landscaping for extra Privacy, Marvelously Maintained, TONS OF POTENTIAL + SUPERB INVESTMENT! Wonderful 3 bedroom, 2 bathroom traditional home located in the highly sought after Canyon Creek neighborhood. Fantastic living room with vaulted ceilings, wood floors, and wood burning fireplace. Kitchen has stainless steel appliances, granite tile counters, and opens to breakfast room and dining room. Great master bedroom with walk in closet, en suite bath, and views of the pool-backyard. Two additional bedrooms + bath. Multiple outdoor living and entertaining between side patio + dog run off kitchen and beautiful pool and patio in backyard. Near Canyon Creek Country Club, UTD, and easy access to 75. New carpet in bedrooms in March 2019 and new roof in July 2018. Listed with Christine Youngblood, Compass RE Texas, LLC. Beautiful Canyon Creek home! Nestled perfectly on a heavily treed corner lot within walking distance of an Exemplary PISD elementary school and II Creeks Plaza. Features an open room concept perfect for entertaining where living room, kitchen and eating area all are open to each other. Kitchen with granite countertops, stainless steel appliances and a bar height countertop with space for stools. Large front and backyards with an additional private fenced side yard off of the kitchen. The large over-sized corner lot provides plenty of space for outdoor enjoyment. Within walking distance to the popular II Creeks Plaza – new roof in June of 2016. Great back yard for entertaining – must see to truly appreciate! Beautiful Parkview Estates home perfect for a growing family. Located in a cul-de-sac. Also features a pie shaped lot with a large back yard and gentle rolling creek. Kids attend the award-winning J.J. Pearce High school. Walking distance to Jr. High. Fast access to 75, 635, PGBT, DNT and walking distance to UTD. Very versatile layout with several open common areas. Upstairs has space for the game room of your dreams! The large glass enclosed patio is an additional bonus space which could easily be climate controlled with addition of a small window unit. 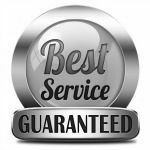 You will find upgrades including Siding, AC, Updated breaker box, Foundation repairs, Energy efficient windows, Cabinetry, countertops, and more. Modern living & timeless style join forces in this completely renovated Canyon Creek Country Club home, featuring new flooring, a cozy brick fireplace, & plenty of entertaining space-perfect for dinner parties. Speaking of, hosting is easy in the totally remodeled kitchen, with solid surface quartz counters, new stainless steel GE appliances, statement light fixtures, & a classic subway tile backsplash. The master suite offers dual vanities and a walk-in closet, & bathrooms throughout have been upgraded with new vanities, modern large-format tile, and polished chrome fixtures. Fresh paint & carpet round out this beautiful remodel, plus, enjoy the spacious backyard from a comfy seat on the large flagstone patio. This single story ranch in Cottonwood Creek Estates is like new inside. 2018 updates include Low E windows, roof, wood and tile floors, cabinets, quartz countertops, all appliances, large master shower, freestanding tub, all plumbing fixtures and so much more. Right next to jogging trail and UT Dallas. Exceptional, Canyon Creek Elementary is just a couple blocks away. Nice backyard koi pond with pump and filter. Very well maintained custom home in cul-de-sac with oversized back yard. Large living area with vaulted ceilings and beautiful fireplace. Open and spacious formal dining, split bedrooms all with nice size closets. Kitchen features an abundance of cabinets and bay windows in the breakfast nook. Don’t miss this beautiful backyard with extra patio space perfect for entertaining. Lots of love in this home. Bring your decorating ideas to make this your perfect home. This home has good bones just needs your personal touch. Brand new windows in the front of home 2015, roof replaced 2014, water heater upgraded to 50 gallon tank 2009. NEW PRICE ! Beautifully updated home on a 0.25 acre lot with mature trees in Richardson! Wonderful location- close to 75, PGBT, Cityline and much more. Great schools and walking distance to award winning Yale elementary and park center. New doors, brand new energy efficient windows, New carpet flooring, hardwood flooring living room , updated kitchen and master baths, granite counters in kitchen, quartz in baths, fresh new paint-interior and exterior, bonus sun room, large backyard with huge shade tree. HVAC replaced in 2017. MOVE-IN Ready. Don’t miss out on this one! Investors or Family home in Richardson walking distance to UTD and Across the street from Richardson North Junior High. SOLD AS IS. No any repairs. Beautifully remodeled home in prestigious Canyon Creek. 4 great bedrooms, 2.5 baths. Gleaming new kitchen with stainless steel appliances, granite counter tops, ans subway tile. Kitchen opens to family room. Large family room that looks onto over-sized screened in porch. Lovely serene back yard. Den and dining off kitchen and family room. Master bedroom has a great closet and stylishly updated master bathroom. A huge screened in porch attached to house overlooking wonderfully treed backyard. This makes a fabulous outdoor living area. You simply must come see this renovated home! Beautiful home located in prestigious Springpark Central on a corner lot. Large open living with vaulted ceiling & wet bar. Home is recently updated with all NEW carpet, tile, granite counters, back splash, fresh interior paint. Spacious master suite downstairs; 2 bedrooms, sky-lighted study (could function as 4th bedroom) & large 2nd living upstairs. Lots of storage including 6×5 cedar closet! Roof & skylights replaced 2016, new windows & HVAC compressor 2018. Very convenient to Pres. George Bush Turnpike and Central Expressway, shopping & dining. Great home….great neighborhood! Steps to Cityline, shopping and easy DART access! Recently updated 4 bed, 3.5 bath home in desirable Fairways of Sherrill Park golf course community with all NEW double pane WINDOWS with lifetime transferable warranty – LOW Utility Bills!. New paint and flooring throughout. Oversized eat-in kitchen remodeled with new tile flooring, backsplash, custom island, and new appliances. Lots of storage and outside oasis is ready for summer! Meticulously maintained and move in ready! This beautifully landscaped home sits in the highly sought after Prairie Creek Meadows neighborhood. The custom 4 bedroom, 2.5 bathroom home features an open floor plan with hardwood flooring, large door frames, a skylight in the entry, and large windows throughout the home bringing in natural sunlight. The kitchen is equipped with granite countertops, a breakfast bar, and a spacious breakfast area. The master suite comes with a second gas log fireplace, separate vanitites, and a garden tub. Enjoy a relaxing evening in the comfort of your own backyard with a covered patio and an open sitting area. Charming, well maintained single story home in sought after Crowley Park, just a short walk to running & biking trails, conveniently located to PGBT, shopping, restaurants and entertainment. Inside you will find a nice horseshoe floorpan with Master & 2 bedrooms on the left and 4th bedroom & converted gameroom, media room or create a spacious in-law suite. Roof Replaced in 2016, New tile flooring, fresh paint, new hardware, pool and spa completely serviced. HVAC on an annual service contract.